Show your love for the Land of the Sky in our newest Southern Designs Tee. 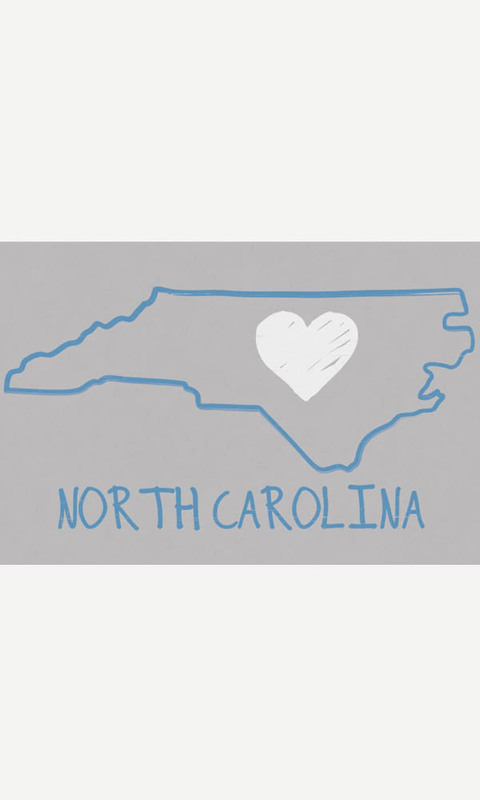 No one could question your Tar Heel Pride when wearing this snappy design with its lovely hand drawn state outline and heart. Design printed using eco-friendly non-PVC inks on our soft organic cotton Ladies Contour Tee made in the USA. Medium length from shoulder seam down the back is approximately 24".